The performance of “Used to Love Her” marked the first time Axl Rose, Slash and Duff McKagan had played the Lies cut together since their infamous July 17th, 1993 concert in Buenos Aires, their last show together before their 23-year breakup. The last “Out Ta Get Me” to feature that GN’R trio came in September 1992. GNR heads back out on tour next week starting with a stop at Ford Field in Detroit on June 23rd. For now, get your fix by playing this Spotify playlist. 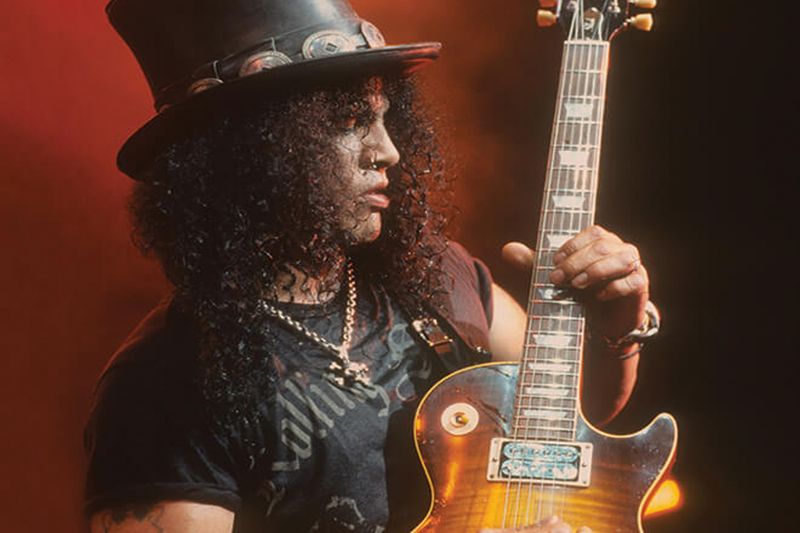 Slash has been a long-time Ernie Ball strings player. Many of you have asked which strings he plays on his #1 touring rig. Well, we’re here to help. Take a look at this exclusive behind-the-scenes peek to see which alloys and gauges he’s playing out on this monumental reunion tour. Check out the full-length documentary, Ernie Ball Presents: Real to Reel with Slash featuring Myles Kennedy and the Conspirators, which follows Slash during the recording of the World on Fire album. 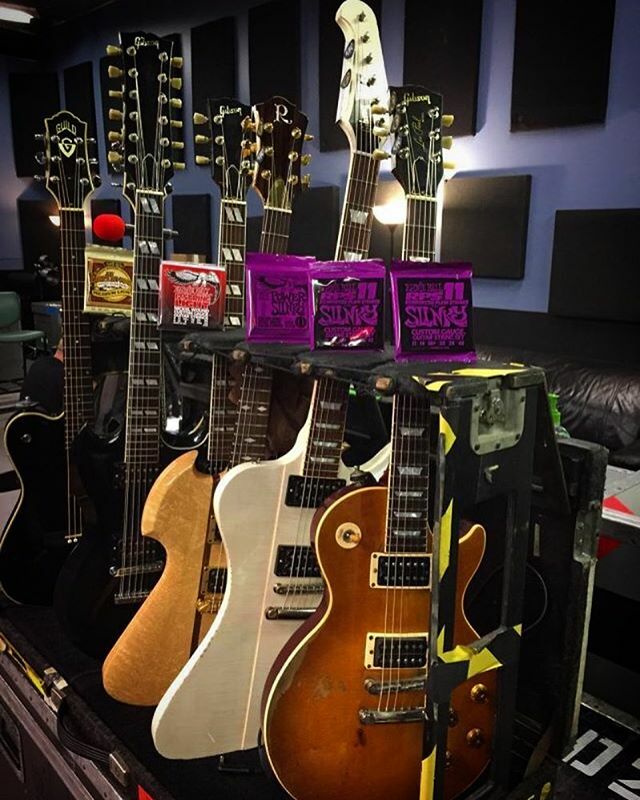 Slash plays Ernie Ball guitar strings. Do you? Try a set.